Come join the Sting family for a fun day of golf! 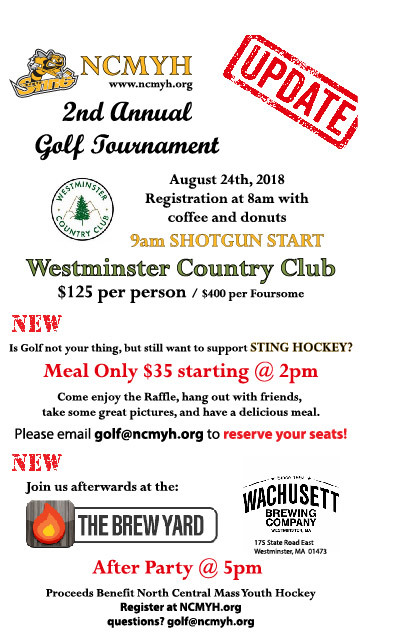 On August 24, 2018, our organization will be holding our Annual Golf Benefit at Westminster Country Club. Our one-day event includes Golf, Dinner, Sports memorabilia Auction, Raffles, Door Prizes and more. Are you or your company interested in being a sponsor? If so, please download our Tournament Sponsor Letter. Feel free to contact for more information or if you have questions.